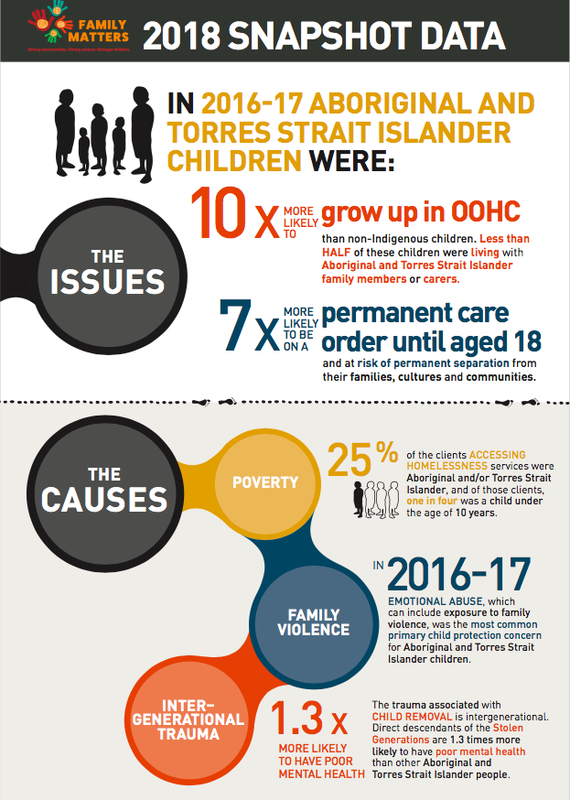 Despite numerous legal and policy frameworks protecting the cultural rights of Indigenous children, the rate of Aboriginal and Torres Strait Islander children in out-of-home care is almost ten times that of other children, and continues to grow. When the ground-breaking Bringing Them Home report into the Stolen Generations was released in 1997, Australia was shocked to learn that Aboriginal and Torres Strait Islander children represented one in every five children living in out-of-home care. Today – nearly 20 years later – they are one in every three. The causes of over representation are complex, including the legacy of past policies of forced removal, intergenerational effects of separations from family and culture, poor socio‐economic status and perceptions arising from cultural differences in child‐rearing practices. The consequences of child removal are profound: devastating families; deepening intergenerational trauma; too often severing children’s cultural bonds and triggering poor life outcomes; and eroding culture and community. Even with the principles of prevention and early intervention are contained in Australian federal, state and territory policy frameworks we still see over 80% of funding going in to the out-of-home care system instead of into solutions. There is a clear and urgent need for change. We want all Australian governments to see the sheer number of organisations across Australia that are dedicated to seeing this change, led by Aboriginal and Torres Strait Islander people. Each November the Family Matters campaign releases its annual report. 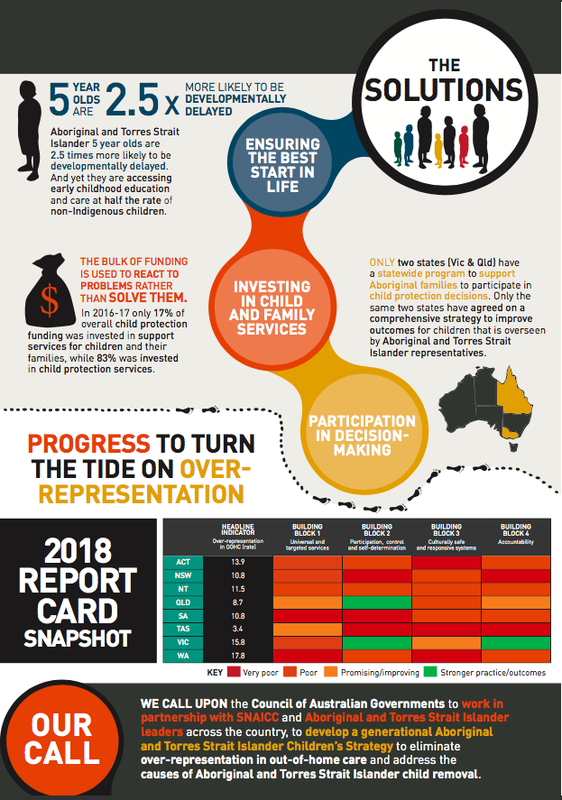 In 2018 this report again highlighted alarming results on the state of child protection in Australia for Aboriginal and Torres Strait Islander children, and suggests ways forward to turn this around.